See why you can rely on our services. Our reputation for honesty and integrity, decades of experience, professionalism with a personal touch, and confidentiality all stand out. 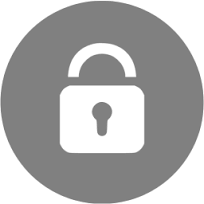 We pledge to protect your privacy to the fullest extent possible. "What you say here, stays here". At Mayco Financial Services we pride ourselves in putting our clients' interests first. Whether you are an individual seeking to preserve and build your wealth, or a business looking to maximize the value of your employee benefits plans, we will diligently tailor a plan for you. Wealth Management and Financial Planning Services. We manage millions for affluent and upper income individuals and families. Our Employee Benefits department works closely with businesses to tailor a plan to each client's situation. We take pride in our responsiveness and trouble shooting in this potentially confusing field. Our licensed insurance agents are totally independent of any insurance company. Whether you need Life Insurance, Long Term Care, or Medicare Supplements, they search for the best value.